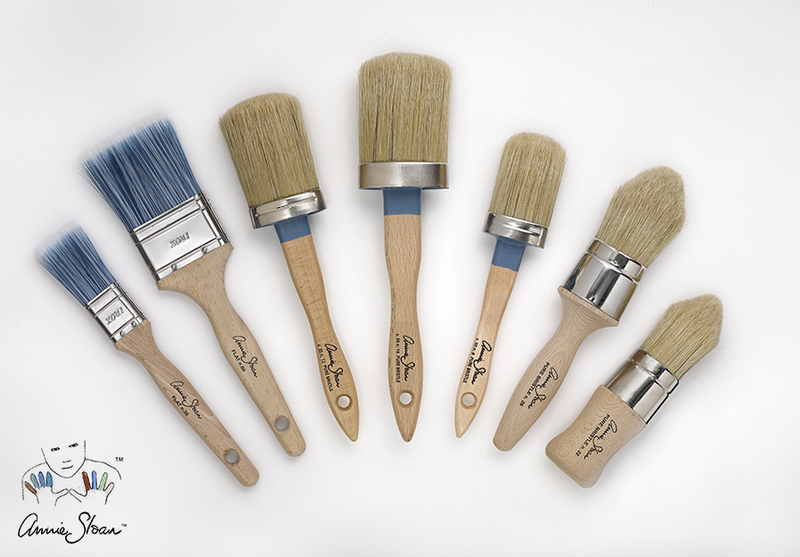 Annie Sloan signature paint brushes are available from Brocante in the Barossa, available in boutique or online. To view and buy online, follow links to online SHOP in menu bar, and select link for brushes to see Annie Sloan and other available brushes. The range Annie Sloan brushes are now available in three styles: Signature Bristle Paint Brushes, Flat Paint Brushes, and Wax Brushes. Each style is available in several sizes.